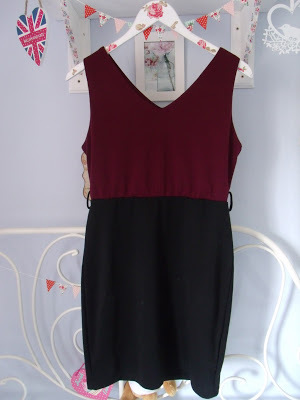 Left: This dress isn’t branded, and is just a tight bodycon dress with a burgundy v-neck top and a tight black skirt bottom half. 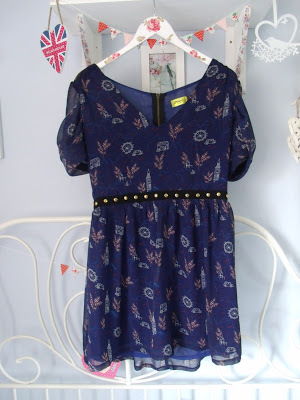 Right: This cute navy blue dress is from Primark and comes printed with lots of little yellow daisies. It’s made from a sheer chiffon fabric and I love the fit of this dress but unfortunately it’s too low cut and loose for me so I will be reselling this one. 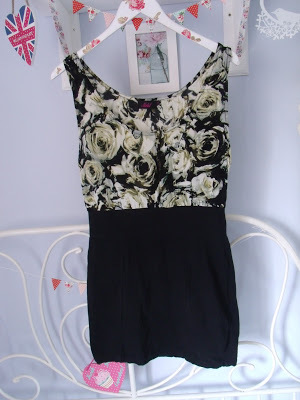 Left: This dress was sold in New Look around Christmas time 2 Christmases ago for about £25. I always had my eye on it so placed a bid on eBay for this. Unfortunately it doesn’t suit me at all so won’t be keeping. Right: This bodycon Motel dress is the same as one I’ve already got but in a different pattern. The original price was about £25. Left: I absolutely adore this dress! 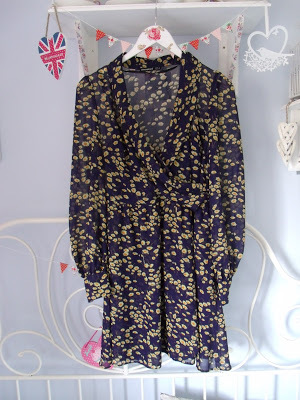 It’s navy blue and has little tiny London icons on it such as Big Ben and the London Eye! It’s by Max C London and also has a gold studded waist. I love this but it’s HUGE for a size 12. I don’t know whether to attempt to sew it smaller or to sell it on. 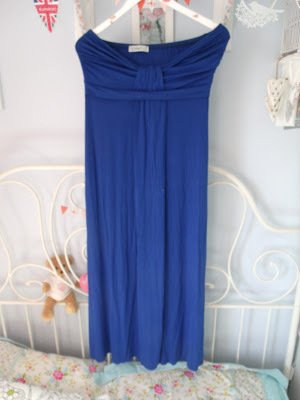 Right: This dress turned up on my door and is horrible and not like it looked on eBay! eBay is a bit hit and miss though so I’m not upset about it! It’s quite sweet I guess, but really hippy chic. This has already been resold. Left: Another disaster, this dress I thought would be a thick bodycon dress that would be slimming and hide my lumps and bumps. But it was shockingly thin and certainly couldn’t hide my belly wobble. Amazingly though I resold it for £9 and the winner was thrilled with it! Right: I love this electric blue dress which I bought for my holiday, but unfortunately it’s too large around the bust so will be reselling. 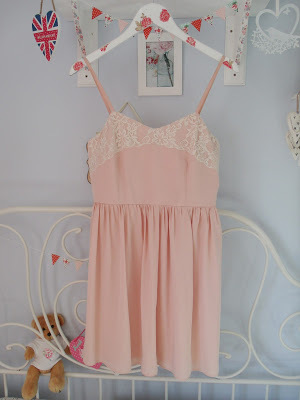 Left: This cute little babydoll dress is currently in the Primark sale for only £7 so it’s obviously a new-ish dress! I can’t say I’m a massive fan of it on me though. Undecided what to do with it! Right: I love this dress, in fact it’s probably the only one out of all the dresses I bought off eBay that I actually like and want to keep! 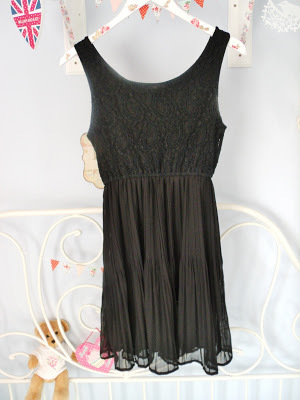 It’s a nice simple black dress with a cute lacey top half. 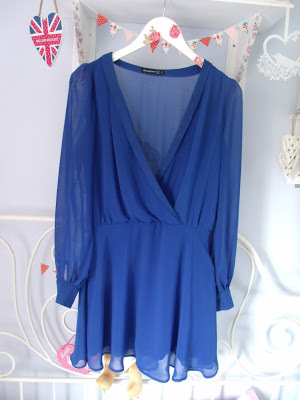 And finally, this sheer blue wrap around dress is really beautiful but the wrap bit falls so low on me!! And I really don’t have the cleavage for it. Boo. This will also be resold! 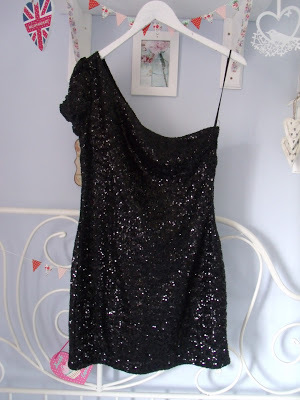 So as you can see, I picked up a lot of dresses for 99p, however, none of them I really liked that much or needed. So don’t just keep pressing Confirm Bid unless you want to end up with a load of dresses you now need to flog at a carboot sale! Great finds! I'm usually too impatient to wait on bids…more of a "buy it now" girl but I love seeing your bargain hunts. I love the black and burgundy one! It's such a classic piece. That's the problem with ebay though, you really don't know what to expect, but still a great bargain nonetheless! 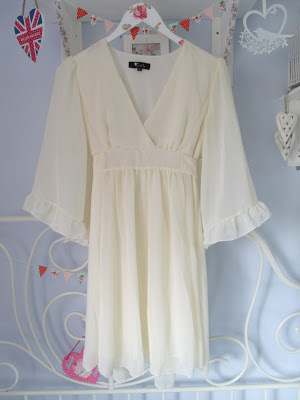 I always stalk motel dresses on ebay, so much cheaper than they're own website.